Professor Varghese’s scholarship, teaching and service focus on improving the schooling experiences and ultimately the lives of emergent bilingual/multilingual youth. Her work views teacher education as teacher identity development so as to more effectively teach emergent bilingual/multilingual youth and endeavors to enhance student supports and pathways in improved curriculum and pedagogy. In 2017, Professor Varghese received a $2.4 million grant from the U.S. Department of Education to address the acute shortage of teachers certified for dual language instruction in Washington state. Project Bilingual Educator Capacity is recruiting elementary teacher candidates to earn their bilingual endorsement and serve in dual language classrooms in nine Puget Sound school districts. As part of the project, UW researchers are studying the effectiveness of additional mentoring and professional development in the first year of teaching. 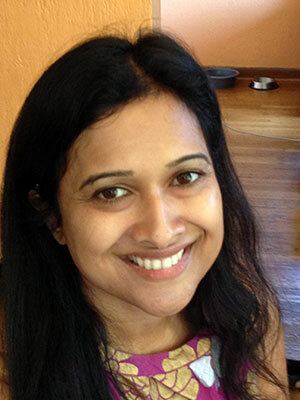 Professor Varghese also is Principal Investigator for a U.S. Department of Education funded project with Seattle Public Schools exploring emergent bilinguals’ pathways in math and science. The project aims to improve equitable emergent bilingual participation in math and science during middle and high school, as well as recommendations for promoting improved high school graduation experiences and pathways to postsecondary education. Her research has been published in the Journal of Teacher Education, International Journal of Bilingual Education and Bilingualism, Journal of Multilingual and Multicultural Development, Teachers College Record, and Race, Ethnicity and Education. Read more about Professor Varghese and Project Bilingual Educator Capacity in Research That Matters magazine.